GM980 is high quality UHF audio bug kit. It including one pc transmitter and one pc receiver. Both working on fixed point of UHF band. 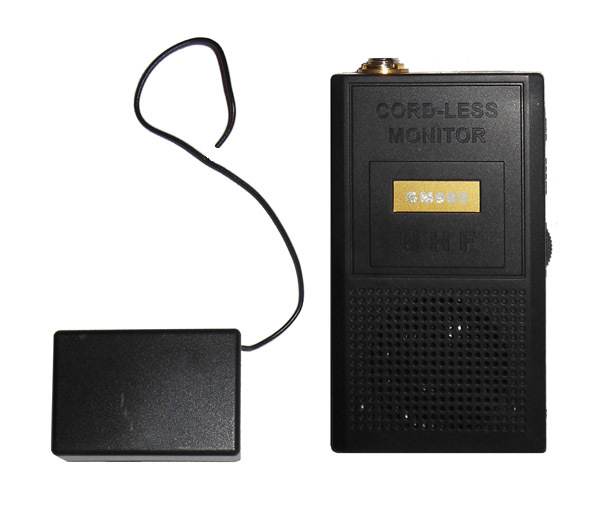 The professional spy UHF audio transmiter transmit crystal clear voice to 2000meters away. The UHF receiver could pickup voice signals within 500meters in building area. Receiver is using 2pcs AAA batteries and buildin speaker. You can connect voice recorder to UHF receiver.